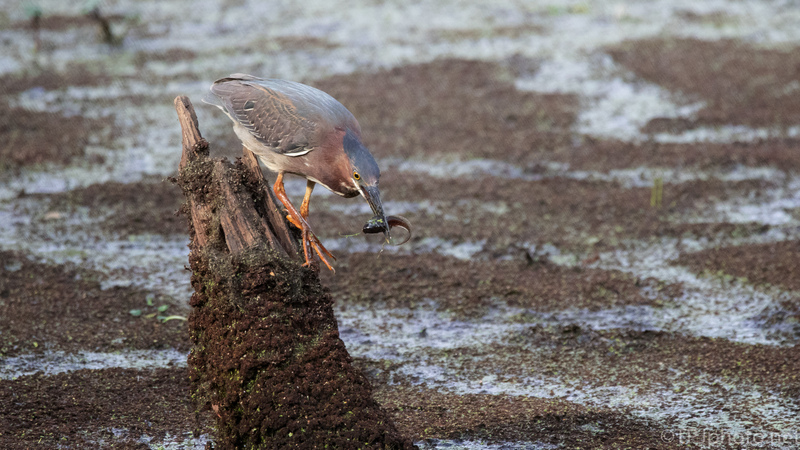 When the water lowered in this swamp all the birds took advantage hunting in places usually not available to them. 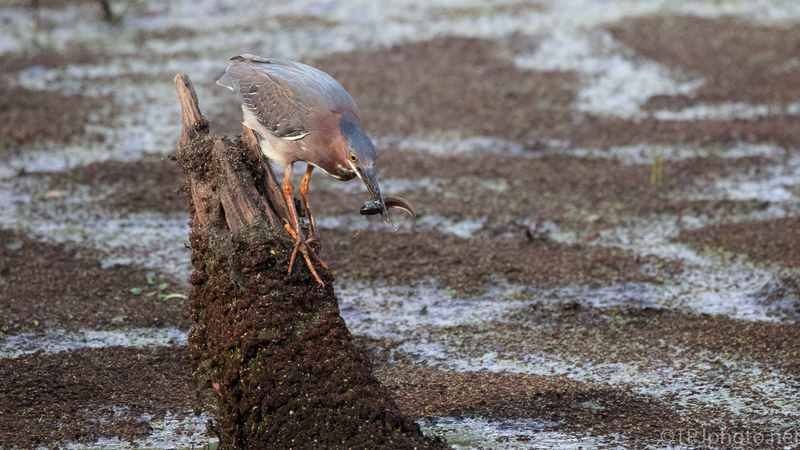 The smaller Herons were not tall enough for this water, but now they can hunt the larger tadpoles. My guess would be this was a Bull Frog Tadpole. 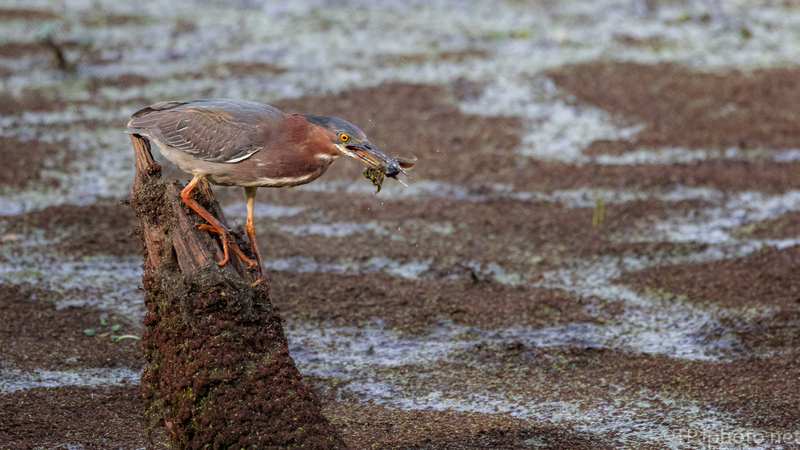 This Green Heron would be almost invisible if he didn’t move. 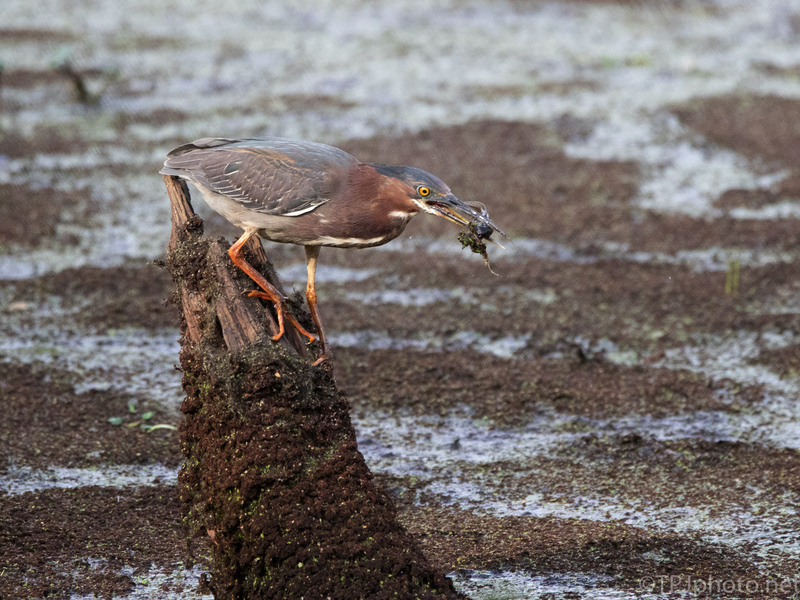 The swamp and bird are identical in colors.